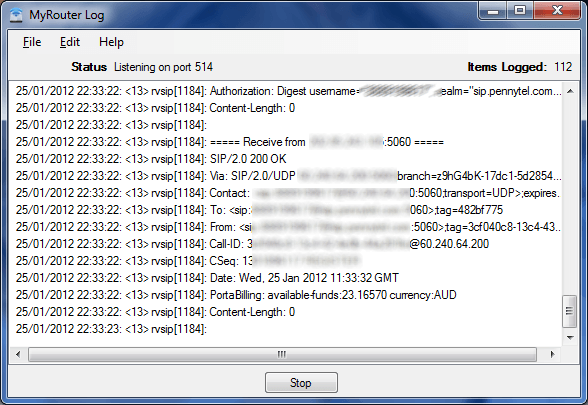 MyRouter Log is essentially a UDP listener, designed to listen to log file broadcasts like those produced by most home style ADSL Modem / Routers. Routers keep a log file of activity but when the router crashes in most instances the log is lost. You need a program like "MyRouterLog" to capture the log file so you can review the log files after a crash. Logs the results to a text file in logs directory. Captures log results and displays in the UI. 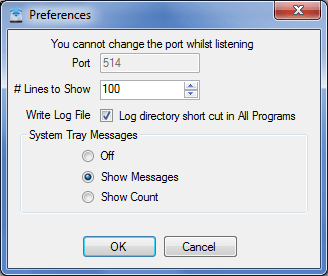 Main application window with live logging of router broadcasts. Shortcut to Log file directory. 968 3,532 homedev <img src="http://www.oldergeeks.com/downloads/gallery/thumbs/MyRouter Log1_th.png"border="0"> Nov 09, 2018 - 12:29 1.1 989.1KB ZIP , out of 23 Votes.